The opioid crisis gripping America has proven to be among the most pressing challenges the nation faces. Communities across the nation have been impacted by the death and suffering caused by opioid substance abuse, and the epidemic has reached such a critical level that it has been declared a public health emergency, and executive action has been ordered by the government. Yet the opioid problem is a multifaceted one; not only are illicit opioids like heroin increasingly killing more, but synthetic compounds are exponentially more lethal, and prescriptions of legal medications continue to skyrocket. While strategies to combat the crisis have been floated and enacted —including equipping local first responders with overdose-reversing drugs and advancing better practices for pain management — the reality is there is a long mountain to climb. Opioids are commonly prescribed to patients who have pain, perhaps after a surgery or an injury sustained on the job. However, the rate at which this class of drug has been prescribed in the U.S. nearly quadrupled between 1999 and 2014. The glut of opioids has occurred without any overall change in the amount of pain reported by Americans, according to the United States Centers for Disease Control and Prevention. About 1 in 5 patients reporting pain not related to cancer or a pain-inducing disease are given opioids, the CDC said. The increased supply has led to greater abuse of opioids, as well as easier access without a prescription: The CDC said of people who used opioids for a nonmedical reason within the past year, more than half were given the drug for free by a relative or friend. This phenomenon further complicates the murky situation surrounding opioids that are legally prescribed. "Although prescription opioids can help manage some types of pain, there is not enough evidence that opioids improve chronic pain, function, and quality of life," the CDC wrote. "Moreover, long-term use of opioid pain relievers for chronic pain can be associated with abuse and overdose, particularly at higher dosages." A high supply of prescription opioids increases chances of abuse. In 2012, 7 deaths per 100,000 in population were due to any type of opioid; in 2016, the number is 13. In 2012, synthetic opioids (including fentanyl) were responsible for less than 1 death per 100,000; in 2016 it's six. Heroin and semi-synthetic opioids (hydrocodone, oxycodone) are responsible for 5 deaths and 4 deaths per 100,000, respectively. The link between prescription and overdose death rates is further brought into stark relief by the 27 states that experienced a "statistically significant" increase in drug deaths between 2015 and 2016 - driven largely by opioids, the CDC said. Of those same states, according to separate data, nine had 96-143 opioid prescriptions per 100 people in 2012: Indiana, Kentucky, Louisiana, Michigan, Ohio, Oklahoma, South Carolina, Tennessee and West Virginia. 116 people died every day in a death attributed to opioid abuse. 11.5 million misused prescription opioids and 2.1 million had an opioid use disorder. 2.1 million misused prescription opioids for the first time, and 170,000 tried heroin for the first time. 948,000 people used heroin, with nearly 15,500 deaths resulting from abuse of the drug. 19,413 died from an overdose related to a synthetic opioid that wasn't methadone, and 17,087 from using commonly prescribed opioids. $504 billion in economic costs were created. While the numbers right now are disconcerting enough, the toll the opioid epidemic takes on America could be even worse down the road if action is not taken. STAT, a health and medicine journalism site, ran a series of projections for opioid deaths according to different variables like prescription rates, drug potency and access to treatment. Under the worst-case scenario, if drug overdose deaths continue to rise and opioids make up roughly the same percentage of those fatalities, more than 93,000 may die in 2027 due to opioid use. In a different scenario — one that assumes doctors prescribe fewer opioids, more states support prescription drug monitoring programs and insurers reform treatment access to widen it - opioid overdose deaths could recede to 21,300 by 2027. But the scale of the fight against opioids extends beyond policy and health care. For instance, a 2017 survey from the National Safety Council found that while more than 70 percent of employers have felt direct effects in their workplaces related to prescription drug misuse, just 19 percent feel extremely prepared to deal with it. Despite this, 70 percent said they want to assist employees struggling with abuse of legal opioids return to positions after completing treatment. "Employers must understand that the most dangerously misused drug today may be sitting in employees' medicine cabinets," said Deborah A.P. Hersman, president and CEO of the National Safety Council. 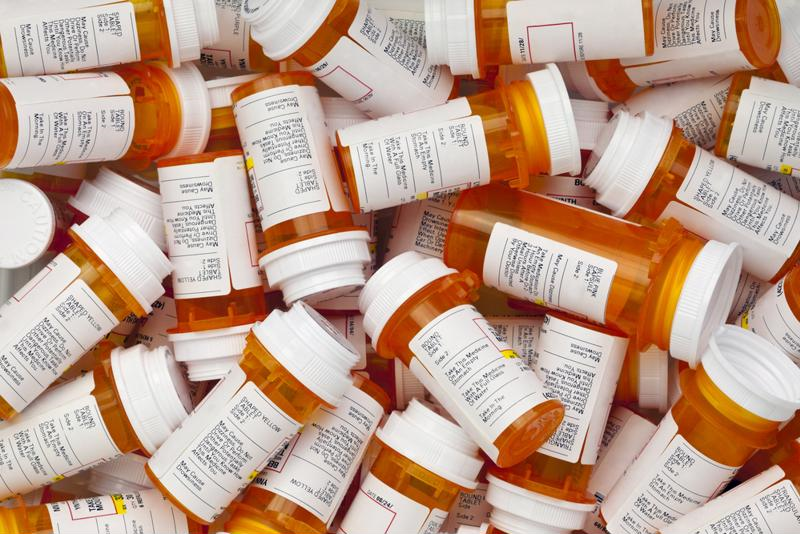 "Even when they are taken as prescribed, prescription drugs and opioids can impair workers and create hazards on the job."